Food and Drink: Beer, wine, popcorn, hand pies, and an assortment of snacks available. Everything physical is made up of the elements and the infinite variety of molecules they form when they combine with each other. The new book Molecules: The Elements and the Architecture of Everything explores hundreds of the most interesting, unusual, and surprising chemical bonds, from rocks to ropes, and painkillers to pigments. At this special Science on Tap, Theodore Gray, author, and co-founder of Wolfram Research, Inc., will tell fascinating stories, show stunning photography, and have live on-stage demonstrations in this exploration of some of the most interesting, essential, useful, and beautiful chemical structures that make up every material in the world. 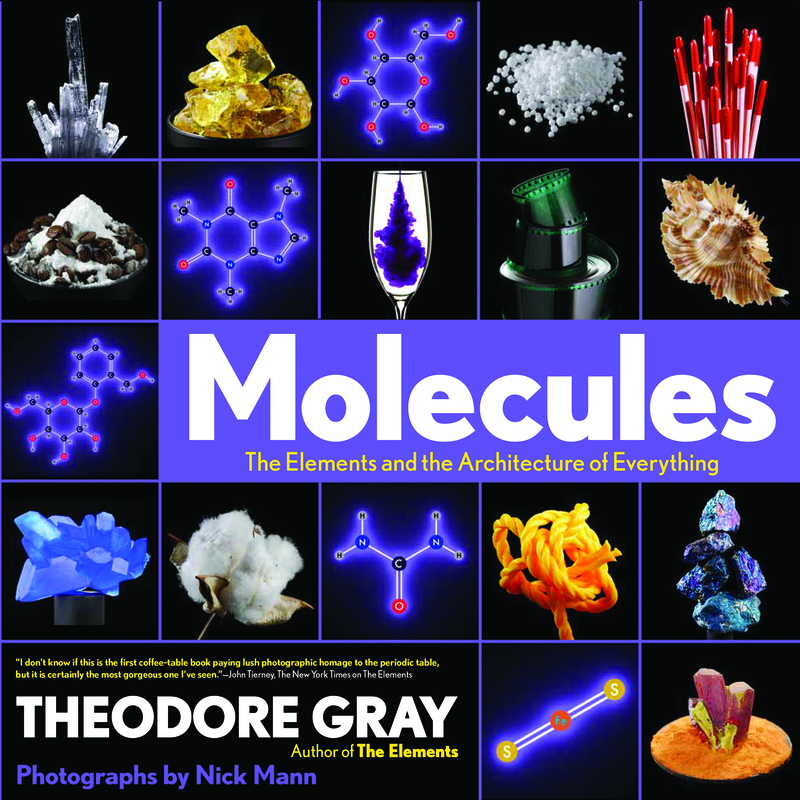 Molecules is the long-awaited sequel to Theodore Gray’s bestselling book The Elements: A Visual Exploration of Every Known Atom in the Universe. Gray is also the author of Gray Matter, a long-running Popular Science column, where he chronicled lots of experiments, including several where he set himself and other things on fire.